New Delhi [India], May 24 (ANI): A Delhi Court, which was hearing the Sunanda Pushkar death case on Thursday, transferred the matter to the Additional Chief Metropolitan Magistrate (ACMM), Samar Vishal. New Delhi [India], May 16 (ANI): In an order to boost public transport infrastructure, the Union Cabinet has approved an extension of Delhi Metro corridor from Noida City Centre to Sector-62, Noida in Uttar Pradesh. New Delhi [India], May 13 (ANI) As many as 70 flights have been diverted from Delhi's Indira Gandhi International (IGI) Airport due to the heavy dust storm and rain in Delhi and the National Capital Region (NCR) on Sunday. New Delhi [India], May 04 (ANI): The Central Industrial Security Force (CISF) on Friday arrested a woman with two live rounds of .315 bore at Delhi's Kohat Enclave Metro Station. 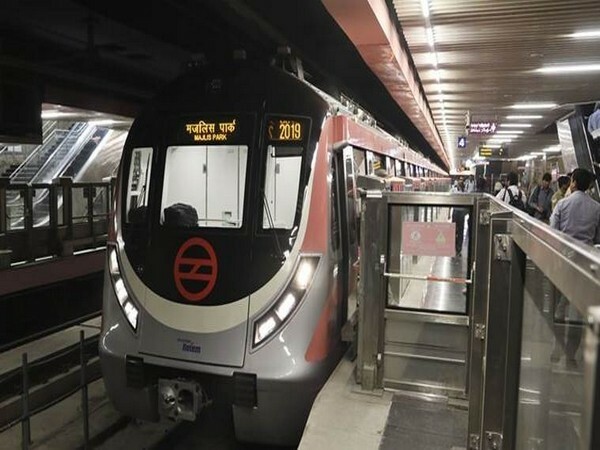 New Delhi, [India] May 1(ANI): The Commissioner for Metro Rail Safety (CMRS) is due to inspect the 25.6-km-long section of Magenta line between Janakpuri West-Kalkaji Mandir from May 8 - 10, before it is thrown open to the public. New Delhi [India], Apr 25 (ANI): Months after Delhi Metro fares were hiked, a rise in metro parking fares announced on Wednesday, is set to further burn a hole in the pockets of Delhiites. New Delhi [India], Mar 22 (ANI): The newly installed platform screen doors (PSDs) began functioning at Delhi Metro Rail Corporation's (DMRC) Chawri Bazar and Chandni Chowk metro stations, a statement said on Tuesday. New Delhi [India], Mar 14 (ANI): A Delhi based lawyer wrote to the Central Board of Secondary Education (CBSE) after he spotted sealed parcel containing answer sheets of Chemistry paper were being transported in Delhi metro by one person, on Tuesday.